Hey Everyone! So I've been feeling incredible festive over the past couple of days. Yesterday me and my brother spent the entire day putting up the Christmas decorations, listening to Christmas Songs and eating mince pies which was so lovely! 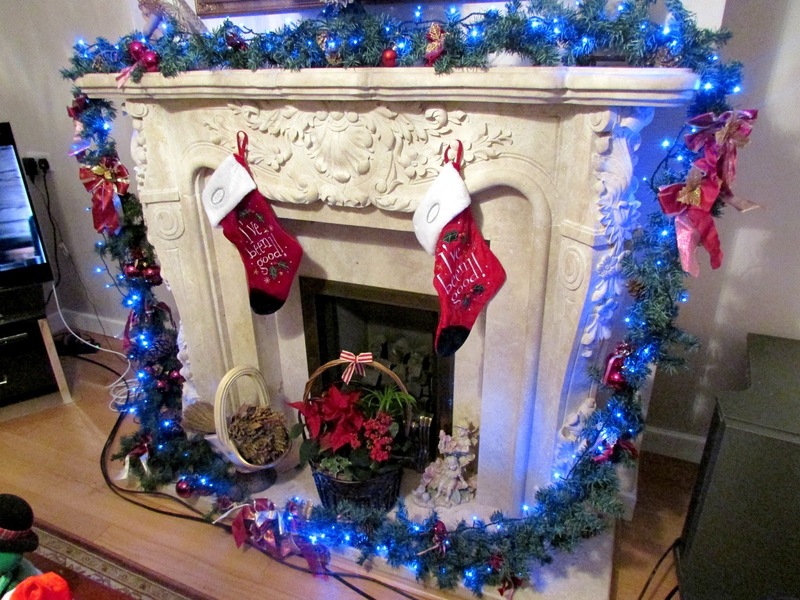 How christmassy does my fireplace look?! I love this garland. It's just super duper pretty! Anyway, before I ramble on and on let's get back into the point of this post. Today I thought I'd give you a list of ideas of what you can write about on your blog throughout December. A lot of us on the internet are doing blogmas and vlogmas which is either posting a blog post everyday throughout December or uploading a video to youtube everyday throughout December and it can be quite hard to decide what to talk about so I thought I would help out a little bit as I know these posts come in very useful for those of you struggling with blog content. I hope this helps! 26. What I Got For Christmas? So there we have it. 31 blog post ideas to help get you though the rest of this month. You don't have to post about any of these things, you can post about what you like, however if you're looking to make your blog a bit more festive then these are definitely some ideas you can add to your blog. Some of these will be appearing on my blog throughout this month so you definitely have a lot to look forward to. Let me know in the comments below what you'll be talking about on your blog this festive season. What are your favourite posts to read around this time of year?